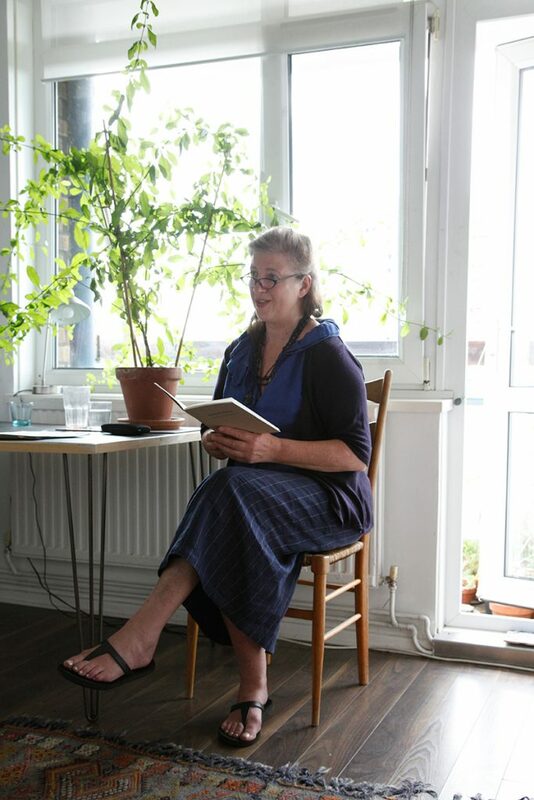 On Saturday 17 June, Negative Press London presented an intimate exhibition and salon-style event, which took place at Martin Crawley’s home and studio in Bow, London E3. Martin Crawley and Jane Wildgoose exhibited together for the first time for this special one-off event. Martin exhibited three works from Arcadia, a commentary on ideas of the picturesque and its eighteenth century beginnings, the starting point of which was a set of 1950s postcards published by the British Museum of prints and drawings by Claude Lorraine. 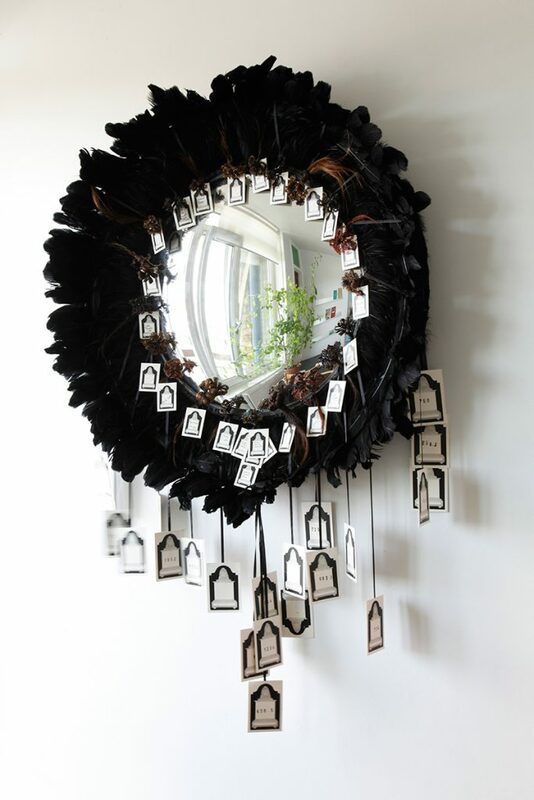 Jane exhibited Lost But Not Forgotten, a work-in-progress inspired by nineteenth century amateur women hairworkers who made flowers from the hair of family and friends, which they entwined in commemorative wreaths and displayed on parlour walls. 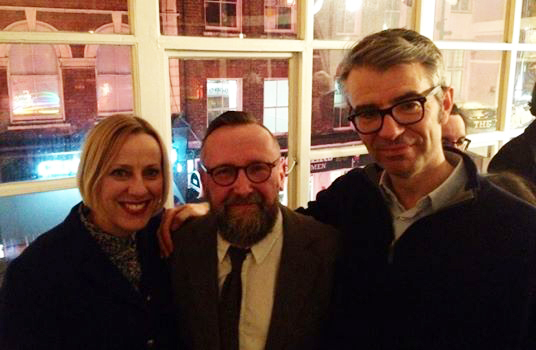 Both discussed their art and read from their books published by Negative Press London. 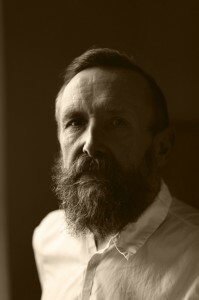 MARTIN CRAWLEY was born in London in 1955 and has lived in the city all his life. After attending art school at Middlesex Poly, he supported his practice for many years working in animation. His work has been included in group shows at Angela Flowers (London), Manchester Art Gallery and Spacex in Exeter. He was based at Space Studios in Hackney for over thirty years; he now works from his home studio in Bow. Roelof Bakker talks to him about his art and writing in relation to Placing Stones, an artist book that mixes sparse evocative texts with gentle pencil drawing of stones. The book is his first publication. Placing Stones marks your return to being a practicing artist. How does it feel to be back? I had a severe brain injury in 2003 after which it took me some time to get started again. I initially concentrated on small commissions, until I was ready to focus on new bodies of work, of which Placing Stones is the first one to see the light of day. The stones in the book are reproduced at their actual size. You collected them during walks in the Great Britain, Spain and France. When did you start collecting stones and why and when did you begin to draw them? I’ve been collecting stones ever since I was a child. I’ve always been drawn to their unique individuality, the difference in texture and shape and the surprising dissimilarity between stones when they are in a dry or wet state. One of the stones (‘Between Charmouth and Golden Cap, Dorset’) was found during a family holiday in Dorset when I was eleven years old. It’s the one I treasure most. It’s actually a fossilised starfish rather than a stone. Some years ago I was moving house and I put all the stones I collected in a shoebox. When I looked at them again a couple of years later, it dawned on me that there are many stories attached to some of these stones, like the circumstances in which I found them or the people they were connected to. The process of writing and drawing happened simultaneously, it was a new experience. Why did you use a pencil? I wanted a single line to define the shape of each stone, I did not feel the need to add shading or delineation. 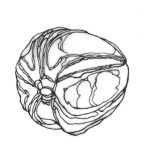 By just using a pencil line the drawings become mysterious and can be interpreted in a number of ways. I’ve been told some look like maps or brains or other body parts. Was drawing and writing a way of accepting loss you have experienced? Loss is an experience everyone has. It’s a part of life. To move forward in life, acceptance is important. Just because people are not here anymore, doesn’t mean you don’t think about them. I wanted to have a deeper understanding of some of the people from my past, to make sense of the lives they led. They became alive again inside my head; thinking about their circumstances on hindsight allowed me to be more understanding and perhaps less judgemental, it helped me reflect on how they impacted on my life. I wanted to have a deeper understanding of some of the people from my past, to make sense of the lives they led. Which text means most to you? The most sparse of the texts in the book, ‘Alistair’, one of the later texts I wrote; its approach is helping shape my current writing. It took me a while to convince you to embarks on the book project with Negative Press. The aim of the press is to make each book we publish a different proposition, a unique project. Like all thoughtful artists, you explored a number of alternative ways of presenting your work. In the end we worked closely putting the book together. 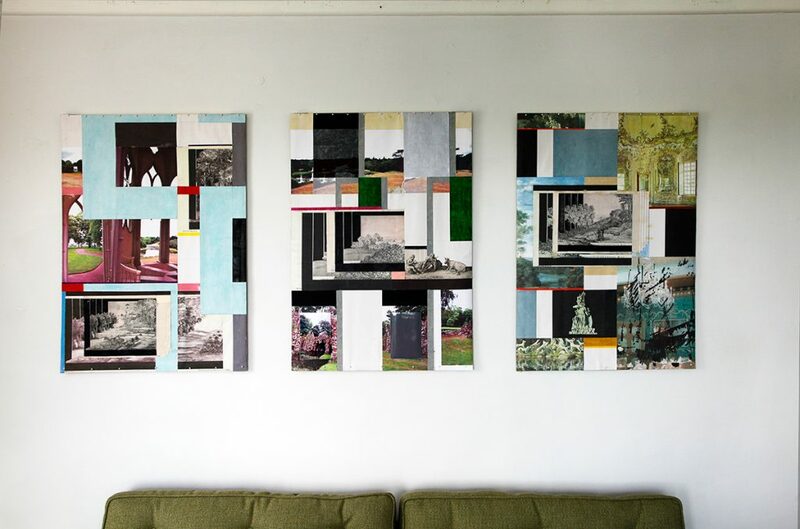 Are you contemplating presenting the art work in exhibition format at some point in the future? I think the project works especially well in printed form, it’s a simple design that offers space for reflection. As the book derives from an original set of drawings, I wouldn’t rule out exhibiting the work; there are a number of creative options that I would consider. Are you continuing mixing up writing and drawing as part of your practice? I’m presently making a series of ink-based drawings. I’m writing text to go with these, but I may well end up not using the words, it may be too much. If you could pick one person, who has most influenced your work as an artist? What is your favourite book of poems? William Carlos Williams, Collected Poems. Williams manages to say everything about life in a very pure style, with a sense of humour too, he’s greatly influenced my writing. I love his poem ‘Landscape with the Fall of Icarus’, inspired by the Greek tragedy of Icarus and a 1558 painting by Pieter Brueghel, which hangs in the National Gallery, London. 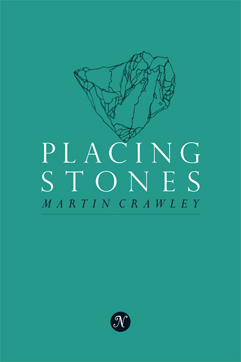 Placing Stones by Martin Crawley, available in an edition of 200, £14 from the Negative Press Shop, in-store at the Tate Modern Bookshop and Bookartbookshop, 17 Pitfield Street, London N1 6HB. 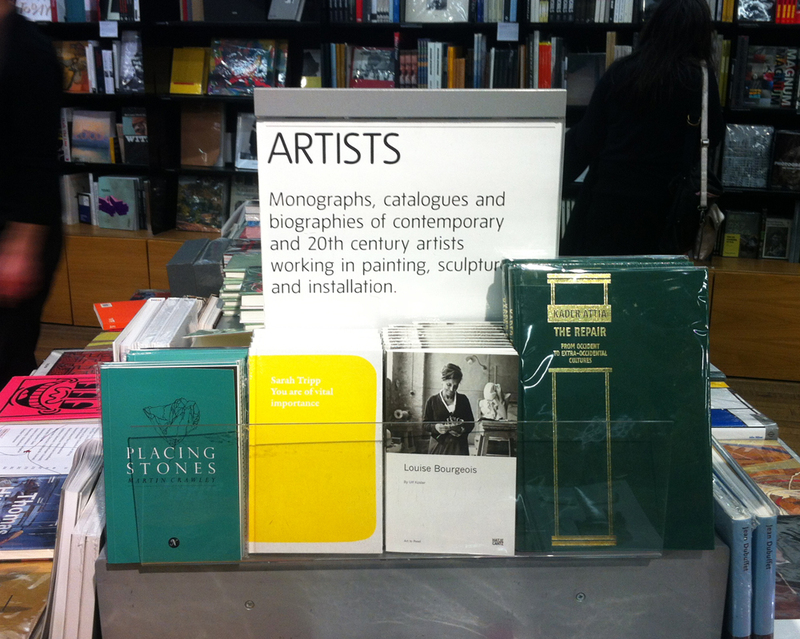 Happy to see Placing Stones by Martin Crawley in the Artists Monographs section at the Tate Modern Bookshop in London, standing tall next to the likes of Louise Bourgeois. Thank you, Tate Modern for supporting our press and stocking our books. 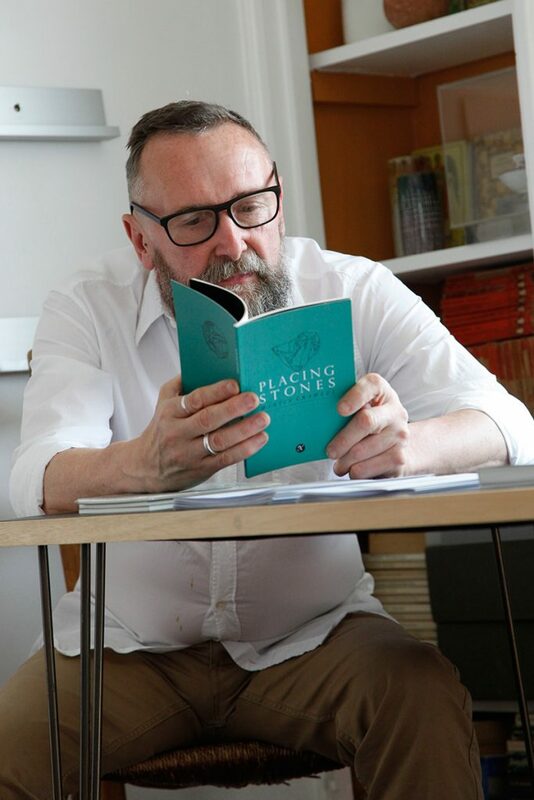 Negative Press London returned to the Soho Collective in Moor Street, London W1, on Tuesday 24 February, for the launch of Placing Stones by Martin Crawley. The event included a moving recital by Martin of his text ‘Alistair’ and Stephen Wrench contributed a haunting reading of ‘Mercedes’ and talked about the book’s quality as a calm, meditative work, a non-shouting voice in a world drowning in noise and marketing slogans. UK postage is free. Paypal and credit cards accepted. Delighted to reveal the cover artwork for Placing Stones by Martin Crawley, out early 2015. This will be the third book by Negative Press London. 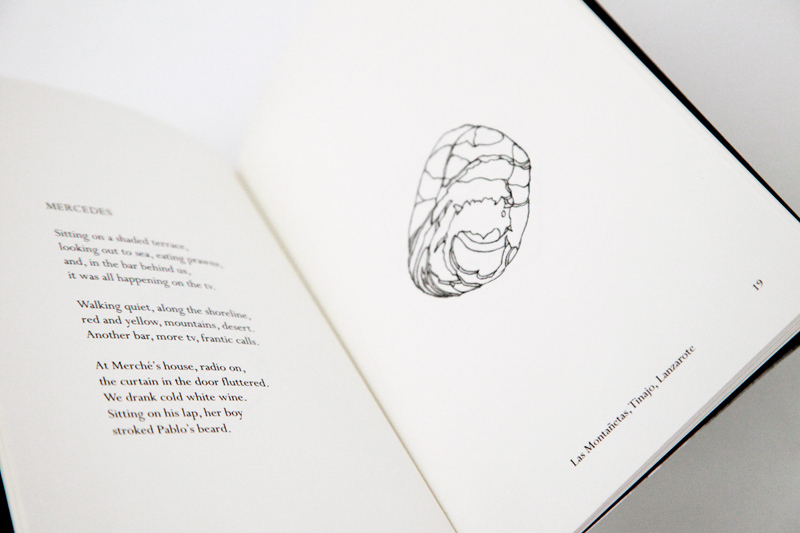 Placing Stones mixes delicate pencil drawings with haunting writing and includes an afterword by writer/poet John Douglas Millar.